FlightGear flight simulator for macOS and Mac OS X. FlightGear is an open-source project. 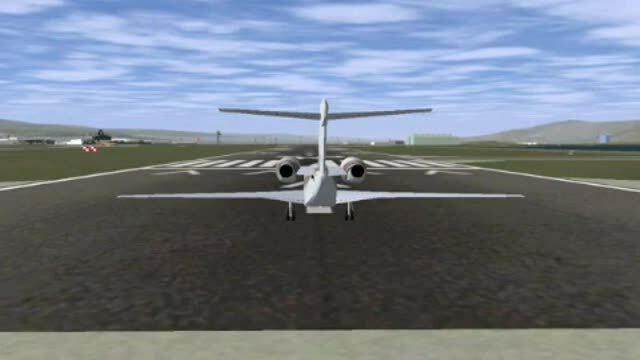 This means as long as you abide by the terms of the GPL license you may freely download and copy FlightGear. Anyone can have easy and open access to the latest development source code. USAF/Nasa aircraft being flown in FlightGear. Being an open-source project, we have made our file formats open and easily accessible. We support standard 3d model formats and much of the simulator configuration is controlled through xml based ascii files. Writing 3rd party extensions for FlightGear (or even directly modifying the FlightGear source code) is straightforward and doesn't require a large amount of reverse engineering. This makes FlightGear an attractive option for use in private, commercial, research, or hobby projects. World scenery fits on 3 DVD's. (I'm not sure that's a feature or a problem!) But it means we have pretty detailed coverage of the entire world. The most impressive thing about the flight simulator community is the vast array of changes that get added in over a period of time; things that totally change the way that the simulator actually operates. This totally open-source project brings a whole new list of changes to the flight simulation world that we live so much in the form of a detailed and engaging flight simulator, and can really make your entire your flight simulation experience so much more realistic than it was in the past. It comes absolutely loaded to the hilt with awesome features, making sure that people are able to get the help that they need to start using FlightGear in any way that they wish. As the best flight simulator out there for Mac users to get used to, there is simply no better choice out there for you at the moment! If you are that way inclined, you can easily use this project for your own needs because it’s an Open Source project. They make the reverse engineering project so much easier than it would have been in the past, too, which plays a huge role in why this mod is seen as such an important part of the modern flight simulation community. By giving you such a huge arrangement of different additions throughout the project, you will gain access to more than 20,000 real-world airports and scenery packages that detail them in the best ways that they possibly can. Likewise, accuracy has been made a real part of this process by offering runway and approach lighting and markings all in the right place. Even many minor changes have been included along the way such as sloping runways and directional airport lighting so that you feel as if you are flying in a representation of the real thing instead of a cheap imitation of the airport that it’s supposed to be. The attention to detail in even minor airports really blew me away, but the terrain and detail in scenery across the whole globe is absolutely outstanding. The world scenery packages take up an incredible 3DVDs worth of data so you can know that you are downloading something that’s fairly comprehensive in size! Add in the fact that I uses a real-life time of day system to make sure that the sun and moon are in the right locations that they should be. This is done by tracking the time on your own PC and building it up from there, making sure that this truly takes on a real-time simulation feel. If you are looking for something that goes far beyond basic features and simple designs, then this is what you have been looking for. Another thing to be positive about FlightGear is the way that it captures the detail in the aircraft – they feel realistic, they act as they should, and they look brilliant. In terms of getting a balance between high detail and high performance, FlightGear is well worth trying out for anyone on Mac who wants to be a part of a truly amazing flight simulation tool. I have had the same problem and cannot resolve it. . Because its no approved by apple it cannot work. I downloaded the free version of FlightGear 3.2.0 because I wanted to try the simulator before signing up for the PRO version. Attempting to run the program here is what happened. A window opened that stated "FlightGear 3.2.0, Verifying "FlightGear". This went on for several minutes then the Error Message "FlightGear can't be opened because the identity of the developer cannot be confirmed". My computer is an IMac. I don't know if this makes a difference.